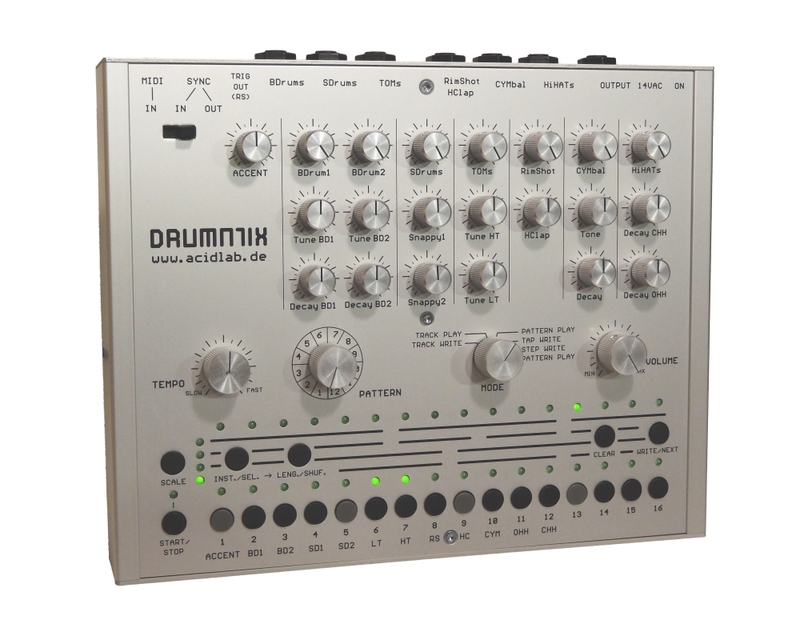 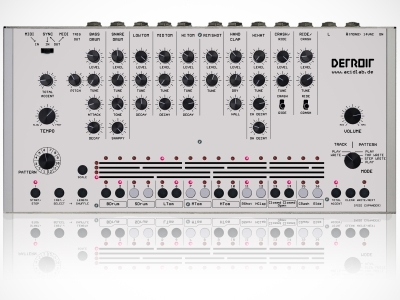 Analog Drummachine based on the circuits of the 606 with additional sounds and parameters. 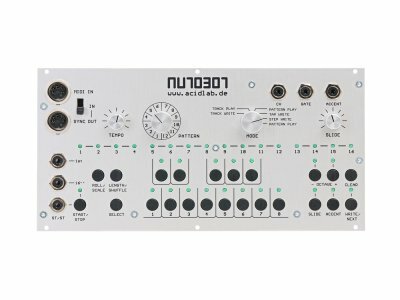 Analog Drumcomputer based on the circuits of the 808. 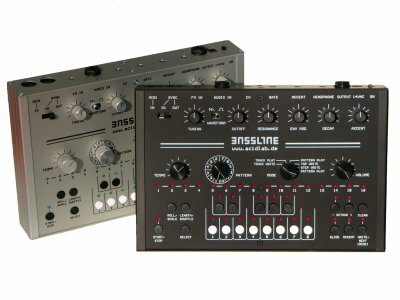 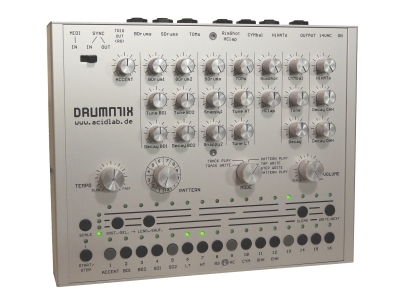 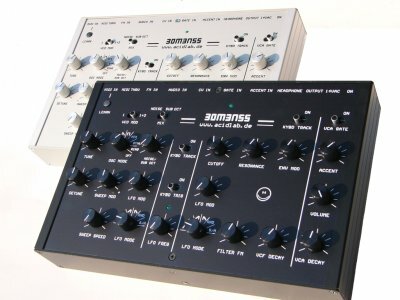 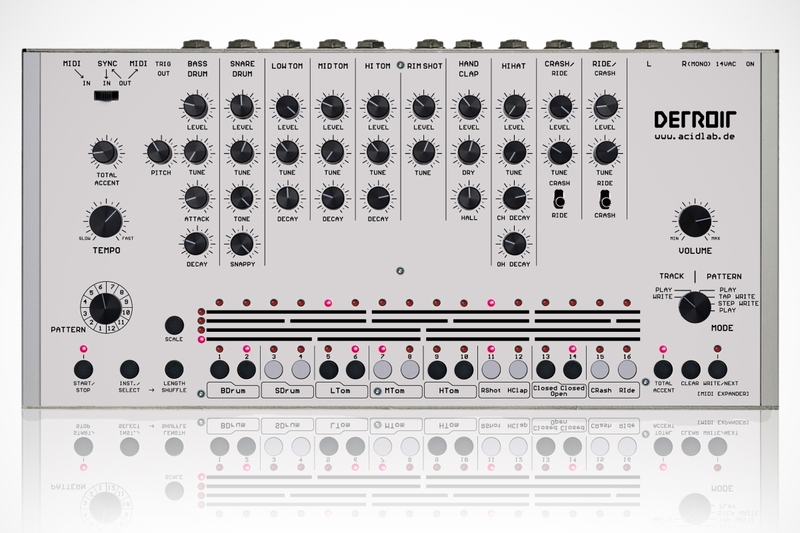 The Bassline with new sequencer and updated sound-circuits. 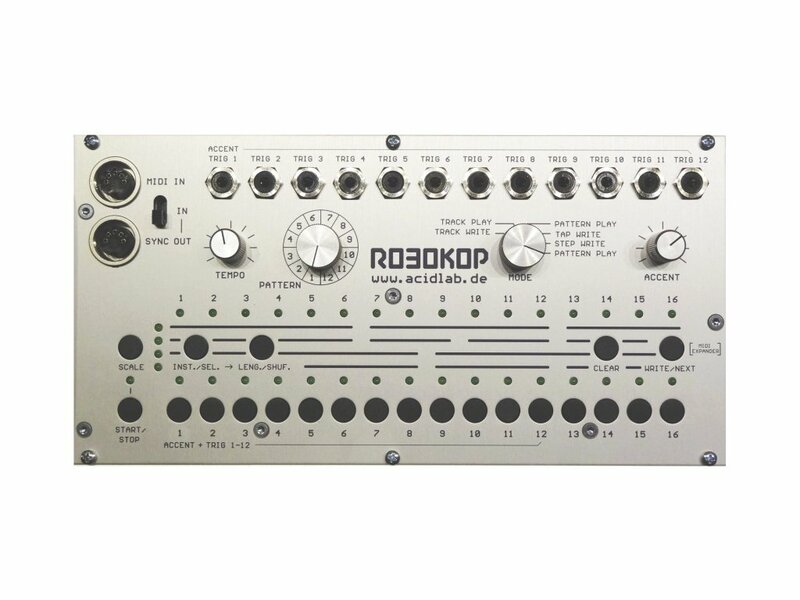 The Autobot and the Robokop as a tabletop device. 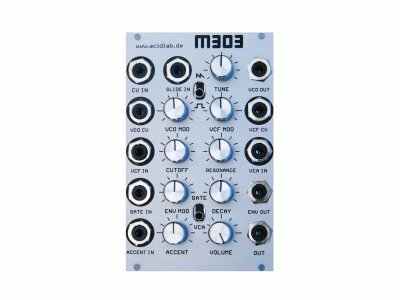 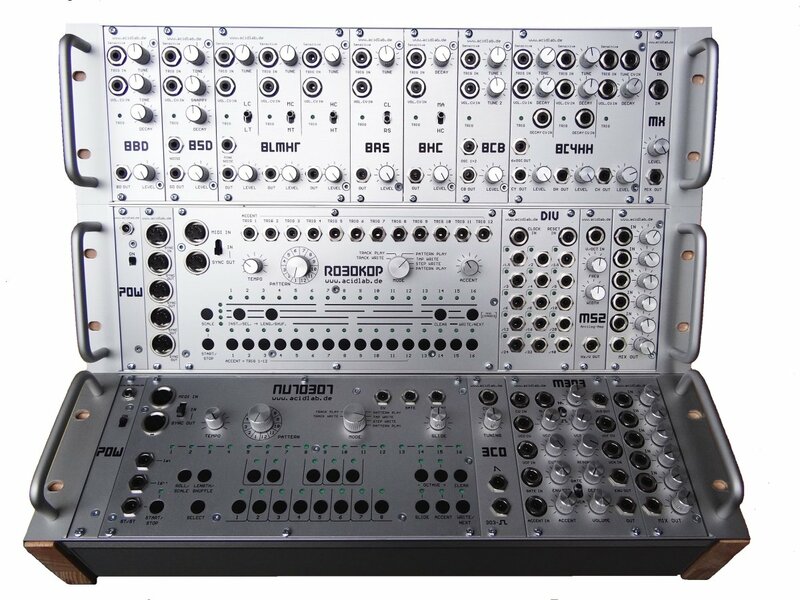 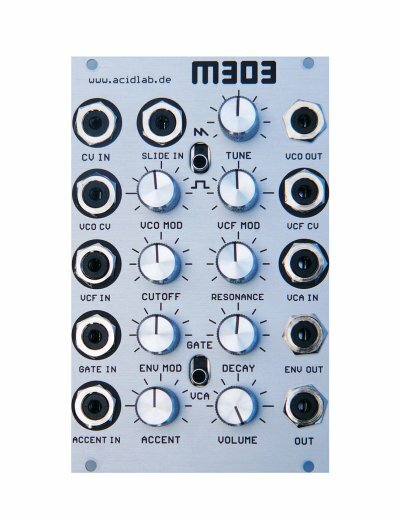 Modular synthesizer-voice of the 303 with VCO, VCF, VCA and ENV. 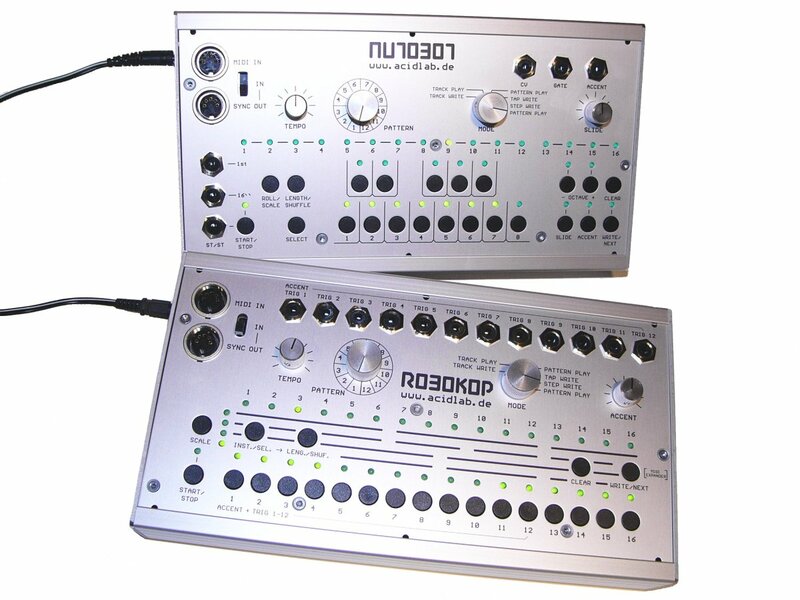 The analogue circuits are the same that are used in the original. 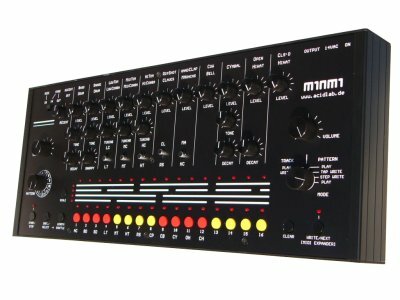 The Trigger-Sequencer of the Miami as a rack-mounted device. 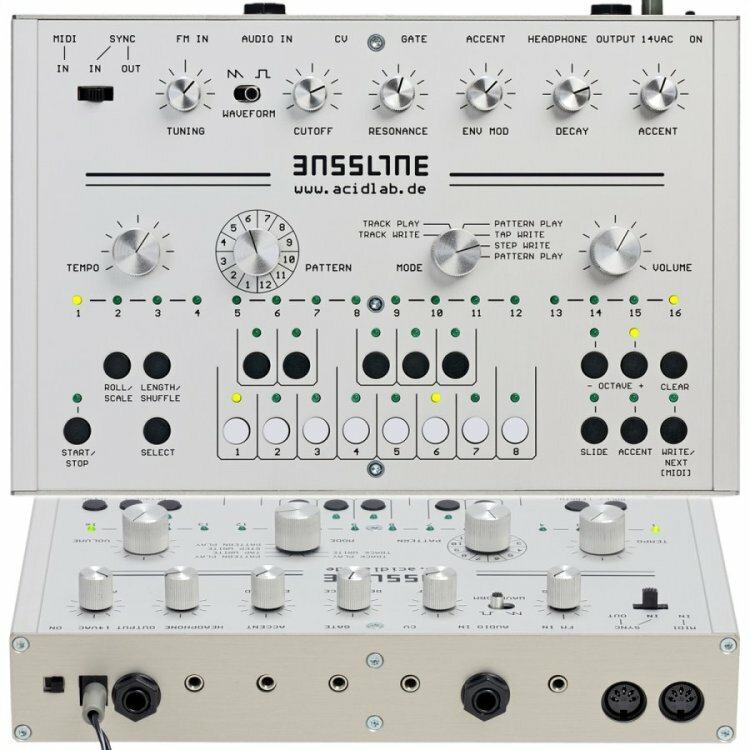 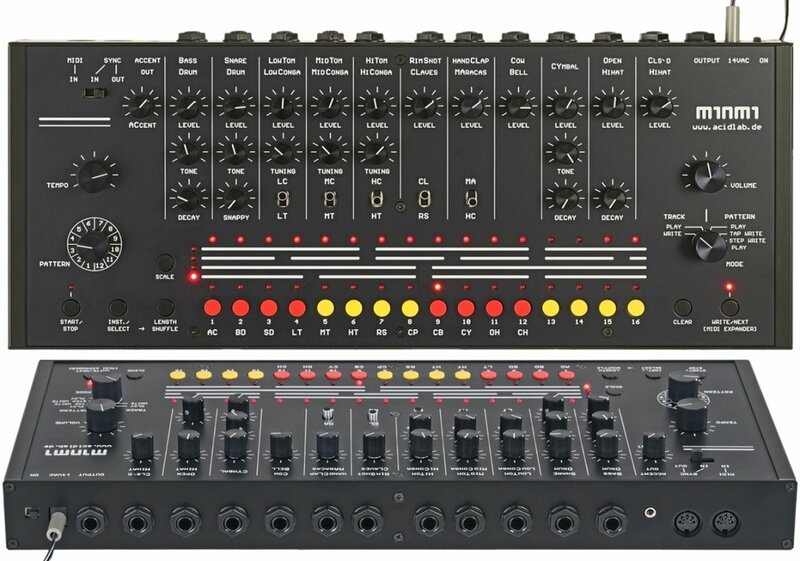 The Sequencer of the Bassline3 as a rack-mounted device. 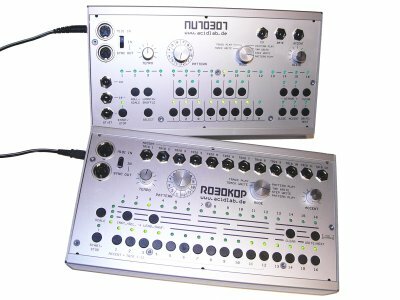 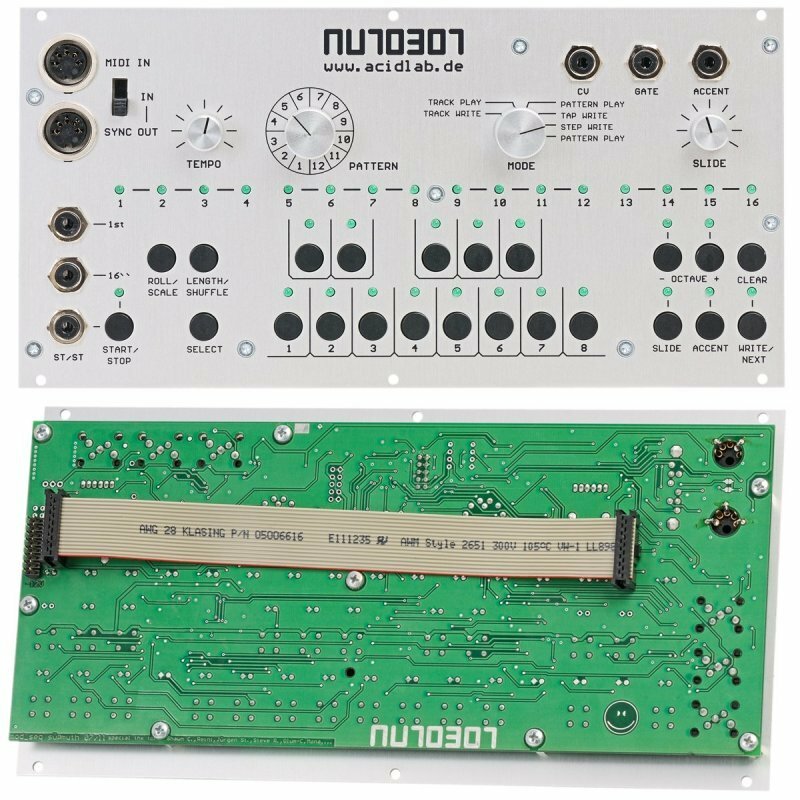 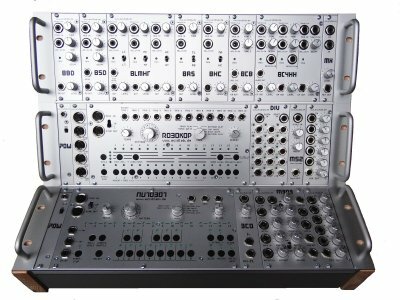 Midi controlled analog synthesizer based on the circuits of the 303 with a lot of modulation and sound extensions.